David & Me is a documentary created by Ray Klonsky and Marc Lamy – the former also being the “me” in the title. The film presents the life and predicament of David McCallum, a man who has been imprisoned in New York for 29 years for a murder he did not commit. Ray, who is from Toronto, Canada, and David, who is from Brooklyn, U.S., got to know each other through Ray’s father. 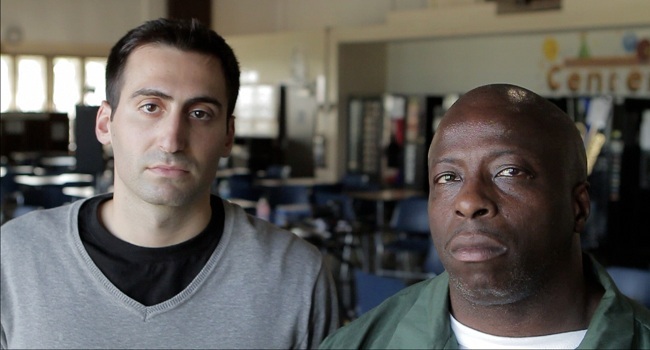 Ben Klonsky is a journalist who had interviewed David and other cellmates of his in the past. When Ray was around the age of 16, he was going down a path of crime himself. Ben, at his wit’s end regarding how to control his son, asked David to correspond with Ray and tell him what life in prison was really like. Ray and David became fast friends over the years and the Klonsky’s basically made it their life’s mission to have David exonerated and released from prison. At first I was skeptical, I didn’t believe David was innocent – any criminal can lie and say he’s innocent, and many do, and some are so naïve to believe them. However, the evidence presented in the film makes a strong case that the criminal justice system made a major mistake by imprisoning David and his friend. Sadly, the friend died in prison in 2001. It’s absolutely astounding and horrifying to think that David has been imprisoned for 29 years. As a criminologist, I have read many cases, and seen many statistics, regarding the wrongful convictions of young black men and other minorities. David & Me adds a personal touch to those statistics. David seems like a very sweet, genuine, loving family guy. At one point he calls his niece and she’s happily chatting away about computers and dolls, then she asks him a serious question about whether he’s coming home soon. It was such a heartfelt scene that I couldn’t help but feel for David and his family. David & Me is a film that many should see. Governments, the news media and the entertainment industry always present the criminal as the dangerous “other”, degenerates who abuse the system. This documentary shows that it isn’t as black and white as society presents it to be. David is a person, with feelings, with a family he cares about. Many people just do not grasp how horrible the predicament of a prisoner is. Prison is an unethical hell and has been proven to be ineffective, even counterproductive, many times over. This is a fact to criminologists, but less so to lawmakers and the general public. There are alternatives for the prison system, but implementing them is costly (though, isn’t the prison system costly, too?). Klonsky and Lamy suggests the reason David and his friend were convicted for murder are related to both the police corruption in the 80s and the lack of technical tools. The detective in charge of the investigation in the 80s threatened David and his friend with physical violence to make them confess. He needed to solve this case as quickly as possible and getting some more “blacks” off the streets was a victory whether they were guilty or not. As for the technical tools, DNA analysis would have proven David’s innocence during the trial, but that simply didn’t exist yet at the time. During David & Me, the Klonsky’s get evidence from the crime scene tested for DNA traces and it’s not David’s, or his friend’s, that they find. 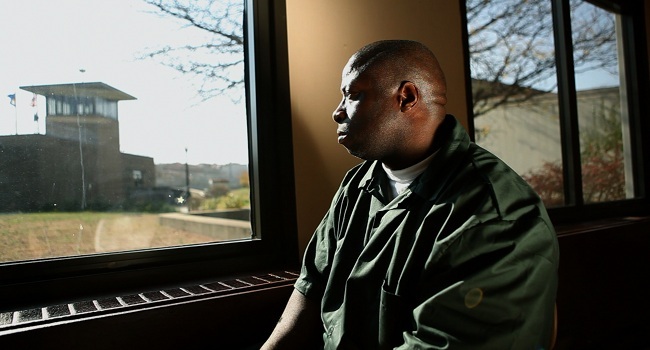 However, even if David is released, nothing can make up for the crime that has befallen David – almost 30 years of his life have been taken from him. All in all, David & Me is a very interesting documentary that I heartily recommend. It gives an insight into the prison system that we rarely get in other films. The documentary is creative in the way it presents the story. Even though it occasionally glances over some details, it’s a touching and very well-constructed film. David and Me is well worth the watch.